“Love Is The Healer” represents the perfect VSN music studio online collaboration, nearly two years in the making, working across not only the United States-from Nashville to Los Angeles, but also to India. The VSN connection allowed both Jeff Silverman and Aeone to collaborate in real-time to produce and arrange Aeone’s 6th studio album. Jeff also mixed, mastered and engineered the project and co-wrote on a number of tracks from Palette Music Studio Productions (MSP) while Aeone recorded from her studio, The Chateau in Los Angeles, CA. 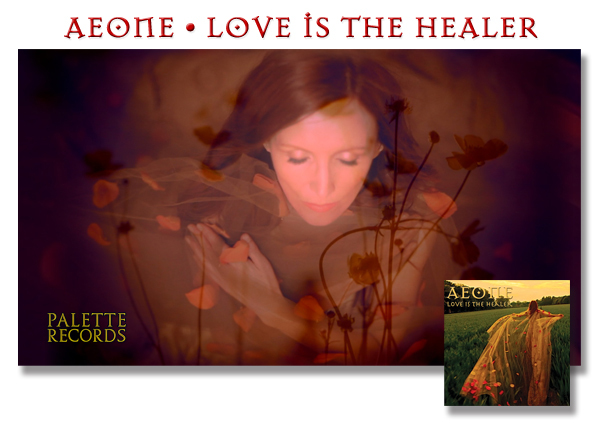 The song “Boat of Angels” was co-written and arranged by Aeone and Ricky Kej, 2015 Grammy Award Winner for Best New Age Album with Varsha Kej playing sitar in India. Please check out our VSN Samples page to see videos and read more about the VSN Process.